The Forsyth Farmers Market is a 501c3 non-profit organization that was founded in 2009 by six women who came together with the intention of supporting their common vision of a local food system that is good for the health of all people and the environment. They merged with the existing Starland market and sought permission from the city to allow a farmers’ market in historic Forsyth Park. The first market was on May 9th, 2009. The FFM was conceived and planned to provide all members of Savannah’s community a welcoming, inclusive place to purchase local food and address food access issues. Despite some logistical challenges, Forsyth Park was chosen because it is a beautiful, public place in Savannah where everyone feels welcome. The founders made a special effort to seek out vendors from all backgrounds and conduct outreach to a wide variety of people. From the very beginning, the FFM has focused on food and food issues which is why it is a producer-only market (meaning all vendors have to be producing at least 75% of the products they sell) and allows only food and plant vendors. The founders also sought to address food access by opening the market with a token system that allow shoppers to use SNAP (supplemental nutrition assistance program, formerly known as food stamps). The FFM was one of the first independent, farmers’ markets in the nation to institute this system. By partnering with Wholesome Wave Georgia to double SNAP purchases and by conducting outreach to those community members who utilize SNAP, the FFM has had the second highest SNAP sales at a farmers’ market in the state year after year. 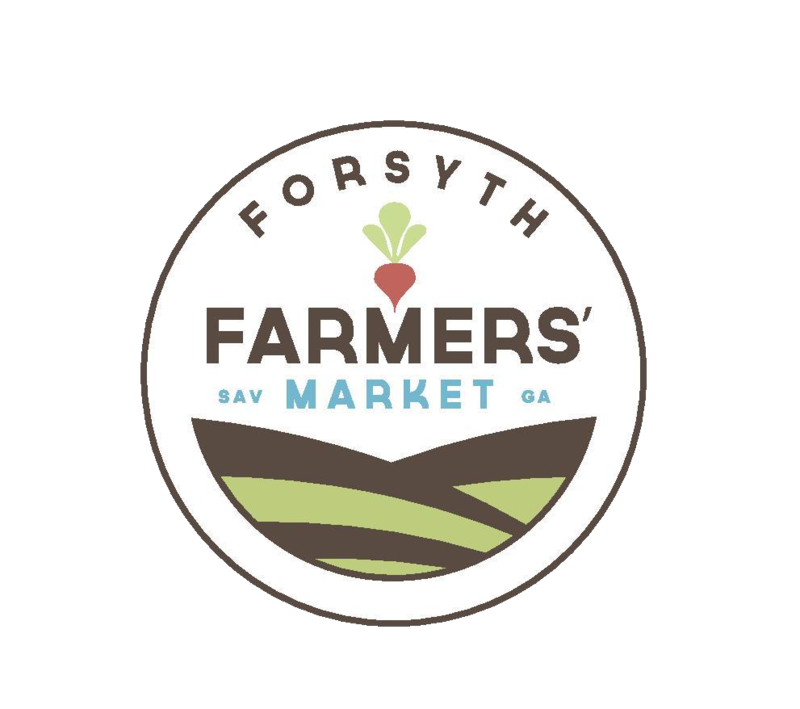 Despite the success of the Forsyth Farmers’ Market, a 4-hour market only on Saturday mornings in a location with inconsistent parking and little public transportation access is not convenient for all residents, especially those struggling with food access and mobility issues. The visionaries at the time sought to establish a farmers market on wheels! In 2013, FFM was awarded a grant from Gulfstream Aerospace Corporation to retrofit a truck and launch the Farm Truck 912 program - a mobile market to provide access for Savannah’s neighborhoods. 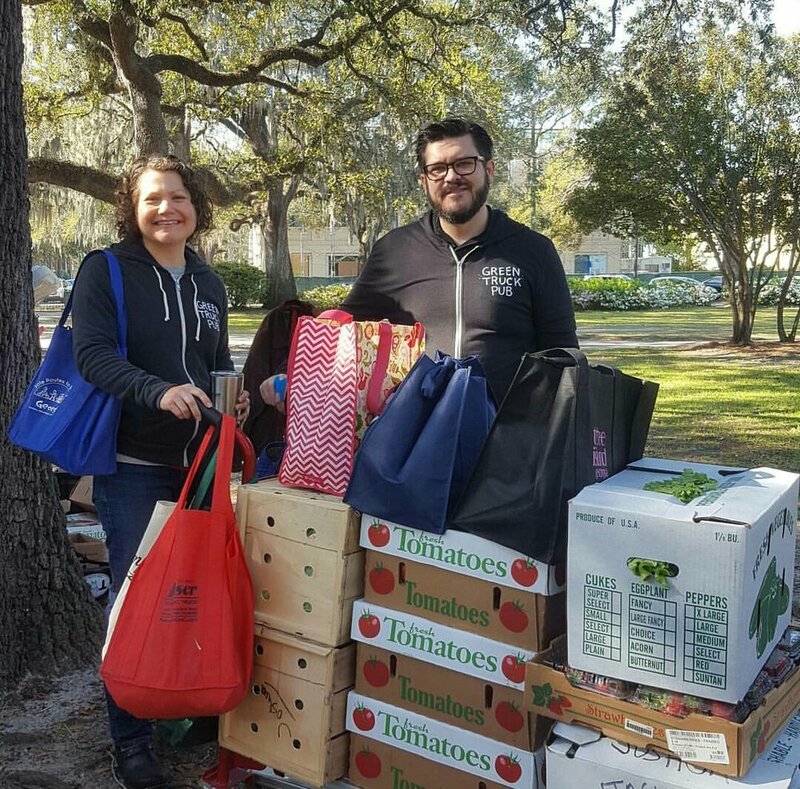 While the market has grown to support full and part-time staff positions, it could not function without passionate volunteers, local business owners, partnering non-profits, and individuals who have and continue to contribute their time & skills to supporting a local food system in Savannah. We are a community. Come join us! The overwhelming focus of the market must be on farmers. We are a producer only market that maintains a 60% whole food to 40% prepared food rate of acceptance of vendors. The FFM should support small, local growers. We will keep our requirements simple, maintain reasonable fees, and recruit volunteers to help the farmers at the market. The FFM must be welcoming to all citizens. That is why market organizers strive for diversity amongst vendors, shoppers, volunteers, and educators. The experience of shoppers at the FFM should be pleasant and help them learn about their food. Outreach should be conducted to encourage citizen participation amongst groups that have the least food access and food education. The market should support additional educational opportunities for customers. The market will give priority to organic production over conventional, whole foods over prepared foods, craft or artisan production of staples over more processed food. Food should promote an individual’s health. Every citizen should have access to good food. Food should be grown close to where it is consumed. Food production should not have a negative impact on air, soil, and water quality.